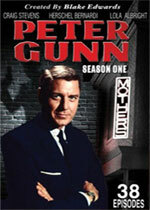 Peter Gunn: Mystery and Suspense on Television. 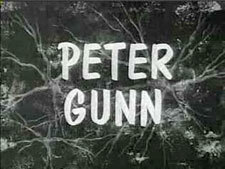 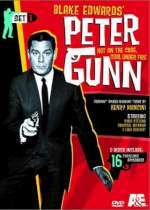 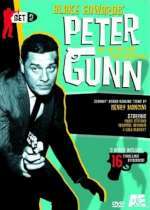 Peter Gunn aired on NBC (first 2 seasons) and ABC (final season) from September 1958 through May 1961 and consisted of 158 episodes over 3 seasons. 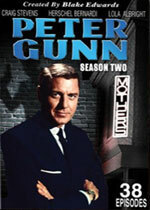 The series, developed by Blake Edwards, starred Craig Stevens as the noir Los Angeles private detective Peter Gunn. 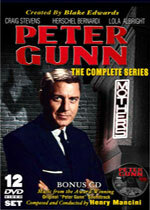 Many episodes were set in and around Mother's Jazz Club and featured original music by Henry Mancini. 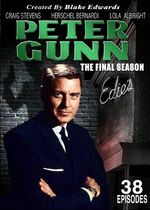 The "set" DVDs consist of 16 episodes as shown on A&E.